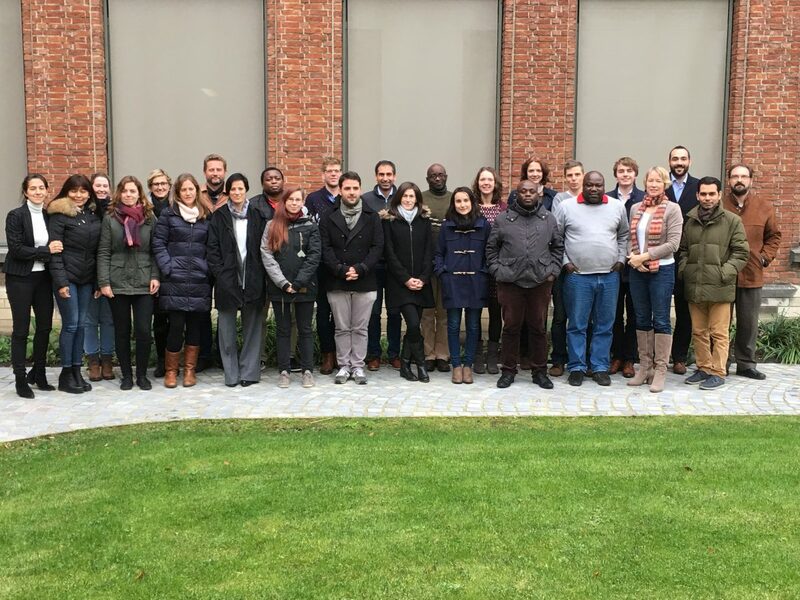 From 29 November to 1 December 2017 the Ground Truth 2.0 partners gathered in the beautiful city of Mechelen for the second plenary partner meeting of this year. These face-to-face meetings are always a great opportunity to catch up as a project, so the three days were packed with presentations, discussions and other activities. 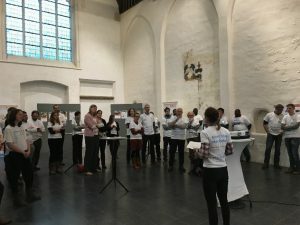 This plenary meeting was extra special, as we received our Project Officer and our Policy Officer from the European Commission and met, measured and mingled with the members of Meet Mee Mechelen, the Ground Truth 2.0 citizen observatory in Mechelen. On the first day, technical aspects were on the programme. We discussed the quality of citizen science data in general and of the six Ground Truth 2.0 citizen observatories in particular. Also, all citizen observatories presented the developments of their online platforms and their plans for the coming months. We ended the day with a nice consortium dinner in one of the oldest breweries in Mechelen. 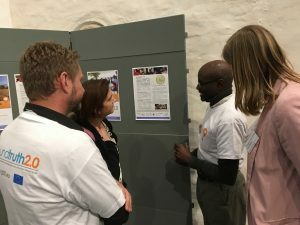 On the second day, the focus shifted from the technical to the social science aspects of the project, with sessions on the engagement of stakeholders and the upscaling of the citizen observatories. In that sense, the project moves forward in the implementation of internationally agreed standards applicable to current and future Citizen Observatories (SWE4CS), making it possible to connect to the sensor web, to complement existing European Earth Observation networks, and to secure the integration of the European contribution to GEOSS. In the afternoon, we moved to a beautiful old church, where we received our Project Officer and our Policy Officer from the European Commission and a colleague. 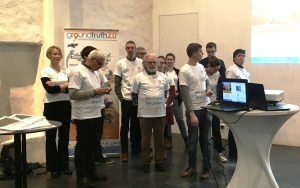 Also, some of the members of the Belgian citizen observatory in Mechelen, Meet Mee Mechelen, presented their observatory: their measurement campaign and the reasons why they are participating in the observatory. In the first snow of the season, we took our meeting outside. 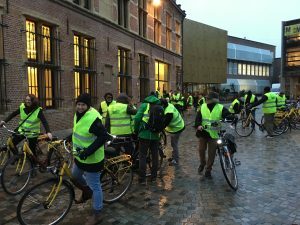 Guided by the community members of the citizen observatory, by bike or by foot we followed their measurement campaign routes, taking measures of noise and air quality. This special tour gave a great insight into the hot spots for air quality and noise in the city of Mechelen. After the tour, a joint reception brought us back to the right temperature. Finally, day three focused on the communication aspects of Ground Truth 2.0. What have we done over the past year in terms of communication, and, importantly, what will we do next year? Also, we reviewed the implementation of the Ground Truth 2.0 methodology the six Demo Cases to capture shared experiences and key differences. What recommendations are emerging for similar initiatives and for policy makers? If we take stock after three intensive but satisfying days, we can say that Ground Truth 2.0 is well on track to develop the six citizen observatories. 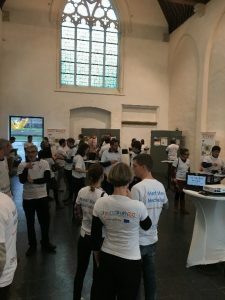 The participation of the Meet Mee Mechelen citizen observatory in this meeting was a great chance for all the GT2.0 partners and for the European Commission to see how a citizen observatory works in practice. As for the next plenary meeting, there will probably be no snow, as we will go to Kenya in Mai to see the Maasai Mara citizen observatory!